Chicago on Tuesday became the biggest U.S. city to elect a black woman its mayor, as voters put their faith in an openly-gay political novice to tackle difficult problems of economic inequality and gun violence. She beat out Toni Preckwinkle, a career politician who is also black, by a wide margin of 74 to 26 percent with most ballots counted. 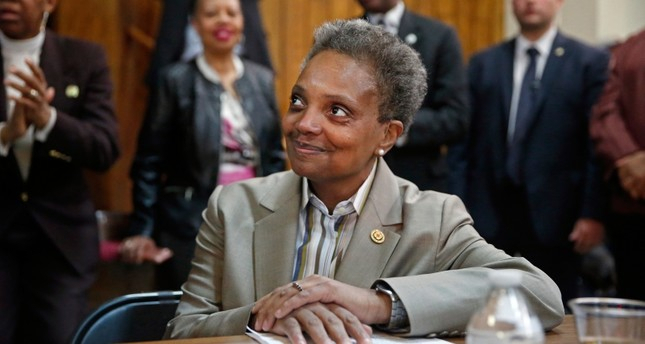 Lightfoot will become Chicago's first openly gay mayor as well as the first African America woman to hold the post. Since 1837, Chicago voters have elected only one black mayor and one female mayor. "We can and will finally put the interests of our people, all of our people, ahead of the interests of a powerful few," Lightfoot said Tuesday night. The powerful Emanuel sustained political damage for his handling of the murder of black teenager Laquan McDonald and declined to run for a third term. Emanuel faced accusations of an attempted cover-up. He fired the police chief and brought in a reformer who instituted changes, worked to rebuild public trust, and reduced gun violence.